Updates on the BCI Academy & Blessing the Children Canada! We are so excited to let everyone know that last week, the BCI Academy received accreditation from the Regional Education Bureau of Ethiopia. So the BCI Academy is now officially recognized as a fully operational school by the Ethiopian government! With God’s grace and blessings, we are looking forward to starting Phase Two of the BCI Academy immediately. In other news, Blessing the Children has established our Canadian office, which is officially recognized as a charitable corporation by the Canadian government. The next step is to apply for non-profit status, so they are able to give out tax-deductible receipts for donations. A big thanks to everyone who has been praying and supporting Blessing the Children! Thanks for reading! 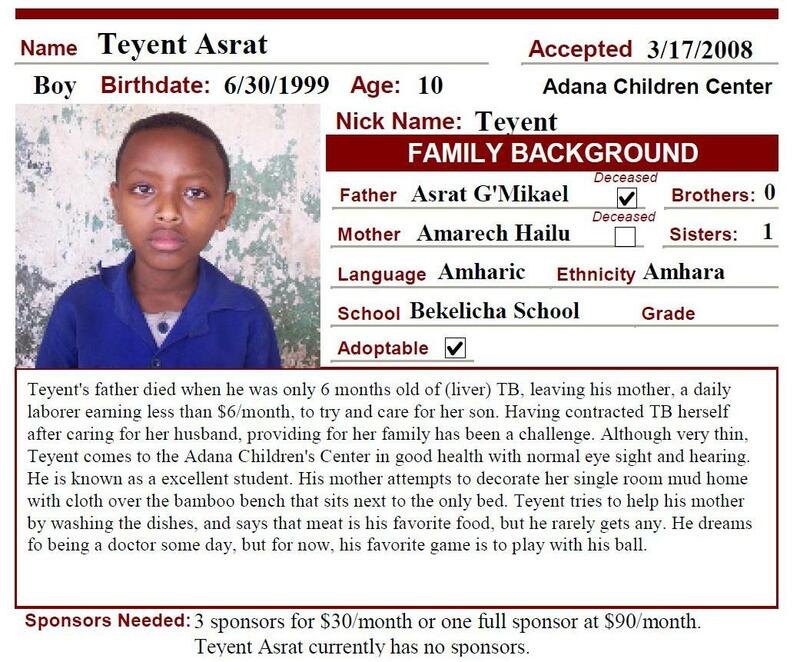 Teyent Asrat is currently in need of 3 sponsors for $30/month. We are always striving to find sponsors for our current children, because the more children we get sponsored, the more we can add to the program! Would you considering sponsoring Teyent and in turn, allowing another child to join the program?